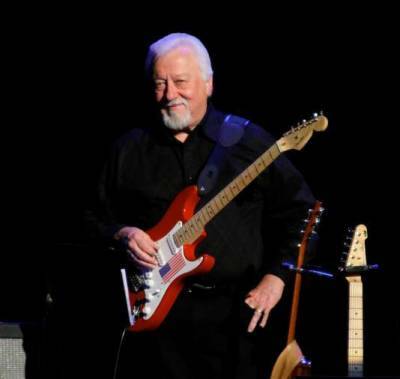 Long before Jimmy Capps was an accomplished guitarist and staple performer at the Grand Ole Opry, he was a kid in Benson who listened to the Opry over the radio with his father on Saturday nights. Since he began playing guitar at age 12, Capps has performed on thousands of country music tracks, and he has long been a member of the house band at the Grand Ole Opry. It’s a resume that has earned him a place in the N.C. Music Hall of Fame. His induction will take place Oct. 16 at the Gem Theater in Kannapolis. Born in Fayetteville in 1939 and reared in Benson, Capps began playing guitar and performing professionally before he was a teenager. His first gig was at radio station WCKB in Dunn, where he played for free but didn’t care.